The partnership aims to study new tech for the transformation of the manufacturing industry and megacities. The use and application of robots in daily life growing ever more extensive and intertwined. For example, AI and robotics are being used in medical applications where they aid and further the development of sophisticated surgical instruments. Its other uses include in-home applications such as taking care of elderly people or in rehabilitation equipment, as well as other social, industrial and commercial uses. 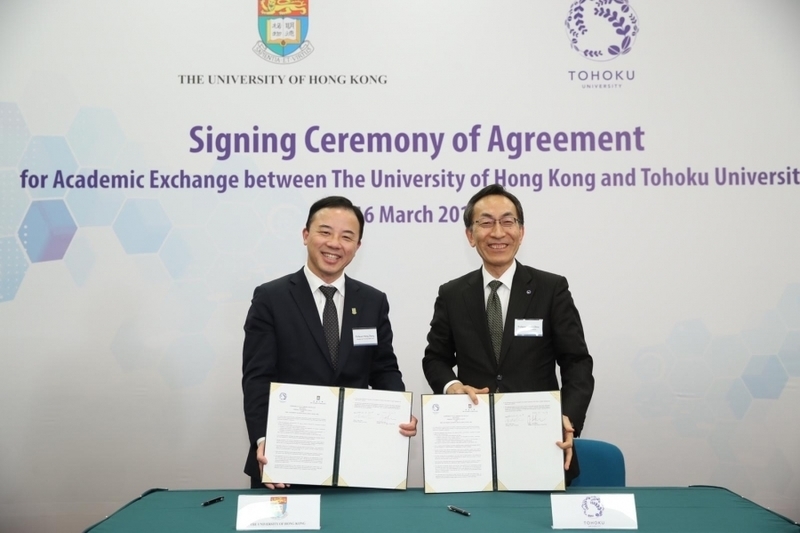 Thus, the University of Hong Kong (HKU) signed an agreement with Tohoku University, Japan to collaborate on general academic exchange, as well as research of transformative artificial intelligence (AI) and robotics technologies, according to a recent press release. The partnership will transform and upgrade AI and robotics technology with the outstanding research and academic achievements of the two universities. This collaboration is aimed at opening up new technologies for the transformation of the manufacturing industry and of megacities. The Secretary for Innovation and Technology of the HKSAR Government stated that true innovation comes from collaboration. He noted that the Government is working hard to build two research clusters focusing on healthcare technologies and AI and robotics technologies. It was also noted that these are the areas where Hong Kong has strength and potential in its pursuit of innovation and technology. By pooling the world’s top scientific institutions to collaborate with local universities, Hong Kong is poised to become a hub for global research collaboration. The collaboration between HKU and Tohokudai is a strategic one that brings together top researchers from both universities to focus on cutting-edge research and application development in the fields of transformative artificial intelligence and robotics, including establishing a Centre with the theme being Transformative AI / Robotics Technologies (TransART), to spearhead projects around transforming manufacturing industries and megacities through the application of AI and Robotics. The President and Vice-Chancellor of HKU stated that the partnership is important for HKU as Tohoku University is one of the top universities for programmes in robotics. Together, the two will strive to achieve pioneering world-class research projects, bring more learning opportunities for both the institutes’ students, and build greater engagement with industrial partners. The two institutes are looking forward to working with one another to translate research into solutions that will make a real difference in peoples’ lives. The aim is to further strengthen the tie between the two universities and closely work together in the field of Transformative AI and Robotics Technology (TransART) to create social innovation and solve social problems in Hong Kong and Japan, the President of Tohokudai noted. While HKU has a strong platform technology in the areas of Computer Vision, Sensing, Control, Motion and Planning, Systems Integration and Modeling and Simulation, Tohokudai, being one of the three original Imperial Universities in Japan and one of the top universities in Japan for programmes in robotics, is recognised for its cutting-edge applications such as creating human-friendly robots which enable intelligent exchanges with humans for society and industry use. Under the collaboration, the team hopes to transform and upgrade the technologies of AI and robotics, to improve the automation technology and to develop smart and flexible robots with self-learning ability that are adaptable to different environment and materials, such as handling 3-dimensional elastic or flexible materials. In the future, the research team will focus to optimise the technology of industrial robots and collaborative robots, identify bottlenecks and tackle critical issues using the newly developed technology in traditional industries like the manufacturing and garment industry. It also plans to make use of AI and Big Data to upgrade existing applications like evacuation planning, post-disaster management system and develop rescue robots etc. The team intend to apply for the next round of the HKSAR government’s major initiative, AIR@InnoHK under the Innovation & Technology Commission.